This is the moment you have all been waiting for! 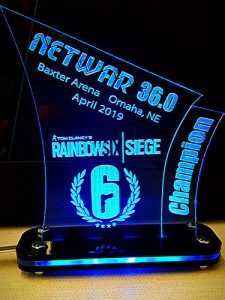 NETWAR 36.0 is less than one month away! This is going to be one of our greatest events and obviously one you do not want to miss. We have a lot of exciting updates in this newsletter and we kindly ask that you read through it. Ticket sales are moving pretty fast. We are going to reach a point very soon where consecutive seats are going to be tough to find. If you would like to sit by your friends, don’t wait to purchase your tickets! Tournaments and the event schedule has been posted on the website. We have brought on an enormous number of fantastic sponsors. We will have some amazing prizes to raffle off. We are talking computer hardware, gaming peripherals, video cards and so much more! Some sponsors will have booths at the event that you can visit to learn more about their products and get yourself some sweet schwaaag! More information will be coming soon. 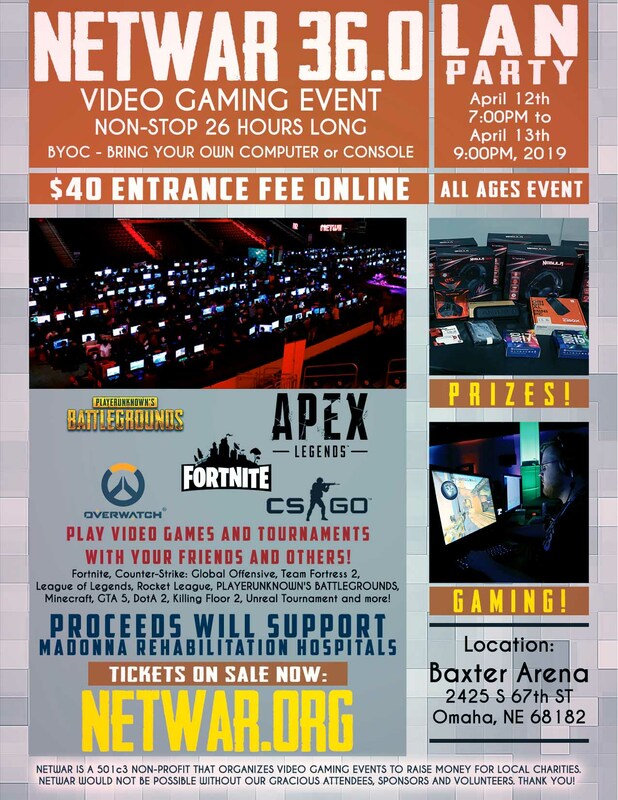 If you are interested in volunteering to help setup and teardown this amazing for-charity gaming event, please fill out the volunteer form. NETWAR is now on Amazon Smile! Please help support our charity causes with your purchases on Amazon. Infinite Loop Virtual Reality will have a booth giving attendees free plays of their virtual reality gear and games. This will be from 10am until 2pm on Saturday during the event. Infinite Loop is a local VR arcade. We highly recommend you stop at their location here in Omaha. Book online and use code: NETWAR to save 10%. Have you seen our newly updated trophies for the tournaments? Made by our very own staffer, “Zeet959”. For more information about the event and to purchase your tickets, visit the event details page.